Get deep into the world of lava on the Big Island's east coast. On the way to Hawaii Volcanoes National Park, experience the impact, diversity and evolution of Kilauea. This drive will take you from sea level in Hilo, past lush Keaau, along the dramatic easternmost shoreline and finally to 3,850 feet atop Kilauea -- which has been spewing lava since erupting in 1983. 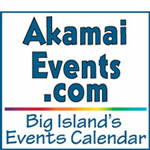 Go: Start from historic downtown Hilo down Highway 11 -- a straight shot to the village of Keaau. There you'll be within eyeshot of the historic and serene Buddhist temple, the Puna Hongwanji Mission. Fork onto Route 130 toward Lava Tree State Park. Roll down your windows and let fragrant aromas of wild ginger and lilikoi fill the car. Take Route 132 to Kapoho, Hawaii's easternmost point. Traversing the Hawaiian Islands' youngest coastline brings you to the thermal pools at Ahalanui County Park. From there take Route 137 to Isaac Hale Beach Park, where locals body board through hollow waves and fishermen cast line for yellowfin tuna from the base of a lighthouse. Just before Route 137 ends at Kalapana, get back on 130 to the cowboy-hippie town of Pahoa. From there, return to Highway 11, also known as the Volcano Heritage Corridor, and take it into Hawaii Volcanoes National Park. Pines, spruces and their scents replace coconut palms and salt-tinged air. 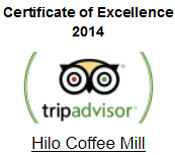 Stop: Off Highway 11 between Hilo and Hawaii Volcanoes National Park, make a java stop at the Hilo Coffee Mill. Get a taste of a major coffee farm that's spread out over 24 acres. Indulge in the mill's coffee ice cream to cool off, then go to where the lava meets the sea in a steamy battle. Along the Route: Grab breakfast at Hilo's Shipman House Bed & Breakfast Inn. Get fueled for the day's adventure with locally grown macadamia nut granola and rambutan, eggs and furikake. Take in the Keaau Village Farmers Market, where everything from apple bananas and strawberry papayas to oatcakes and crepes are sold to the sounds of live music. Experience the natural canopy provided by native ohia, breadfruit, monkey pod and mango trees. Float in the thermal tidepools at Ahalanui County Park as cool ocean water washes over the breakers to refresh the pools from above. Ancient Hawaiian kapuna say the sulfuric content of the pools aids in purification of the spirit; modern cosmetologists say it helps with wrinkles. Put your toes in the black sand at Kahena Beach near mile marker 19 on Route 137. Near the cluster of parked cars, take a short walk through the brush down a gentle, rock-lined trail that leads you there. Bring the camera and a towel. For pure beauty, peruse the Akatsuka Orchid Gardens, just past mile marker 22 on Highway 11. There are countless varieties of orchids (including rare, fragrant varietals), and the folks at Akatsuka will ship most of them to your doorstep. For culture and peace, stop at the Puna Hongwanji Mission in Keaau, a magnificent Buddhist temple that once served leagues of immigrant plantation workers. For adventure take a sunset hike at the Volcano House inside Hawaii Volcanoes National Park. The Halemaumau Trail has moonscape-like calderas with hissing steam vents, lush tropical forest, moss and fern-laden pathways -- all within half a mile's stroll. End the day with a sumptuous meal at the Kilauea Lodge, where Austrian-born chef-owner Albert Jeyte serves up local game (medallions of venison, anyone?) and seafood. It redefines "road food."